Earlier this afternoon, much to my shock, I got an e-mail from Nintendo informing me about Women’s History Month. 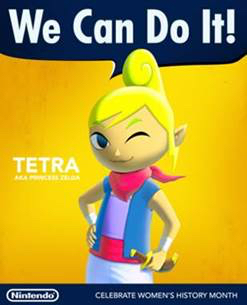 It wasn’t so shocking that they were commemorating the month (although I didn’t quite know it was Women’s History Month), but it was shocking that they were featuring The Wind Waker’s very own Tetra as one of the poster children for their campaign! 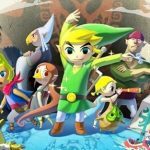 While Tetra does get captured as Zelda, she is by far the liveliest and one of the most interesting iterations of the Zelda character to date, and as Nintendo states, she did assist Link in defeating Ganondorf!